Our uPVC roof lanterns from UltraSky are a great way to let light into any room at an affordable price. 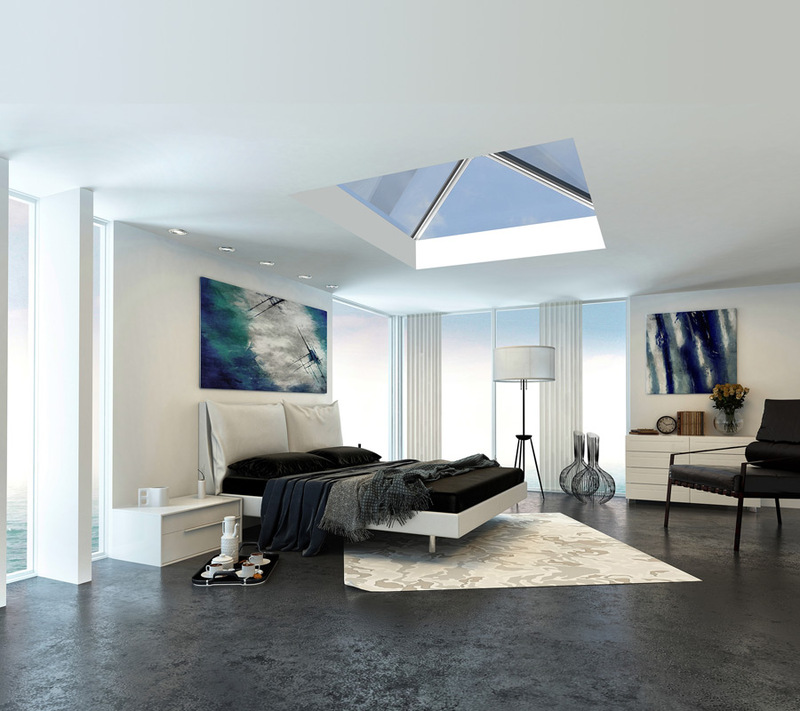 UltraSky roof lanterns will help ensure your room not only feels more spacious and beautifully lit with natural light, but feels warm, cosy and dry throughout the year too. uPVC frames are a consistently popular choice for doors, windows and roof lanterns now, as they provide excellent insulation and water-proofing at a lower cost compared to Aluminium. uPVC is extremely low-maintenance and hard-wearing too. 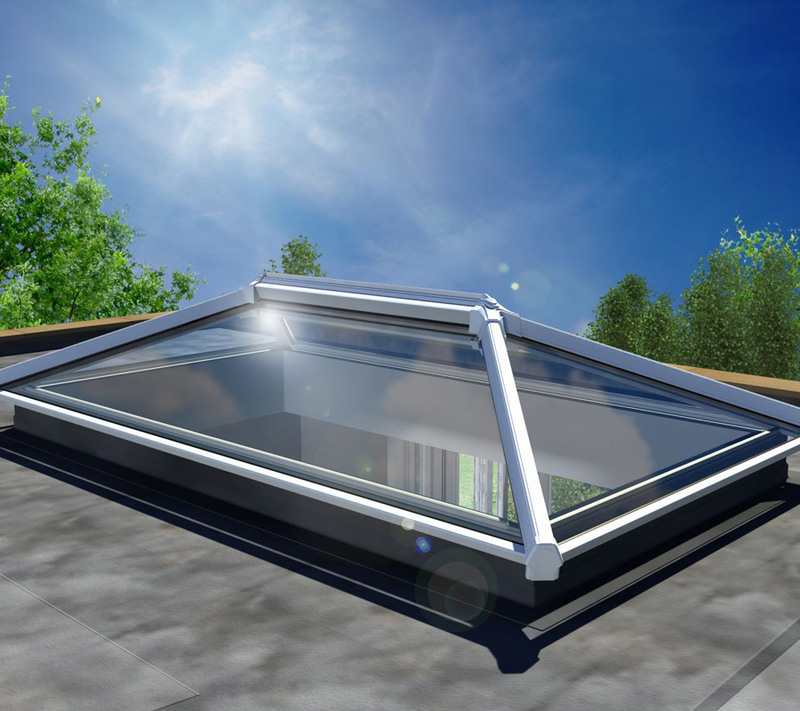 The quality materials and construction of these roof lanterns guarantees your skylight will easily stand up to the harshest weather conditions, keeping your home well-insulated for years to come whilst also adding the Wow factor too. These roof lights are finished in white uPVC which makes them easy to match with most modern door and window frames which may already exist on the building. The bright white frames also add to the feeling of spaciousness that your new roof lantern will bring to the room. Finally, uPVC frames are a good choice as a more affordable option for those looking for a quality glazing solution. 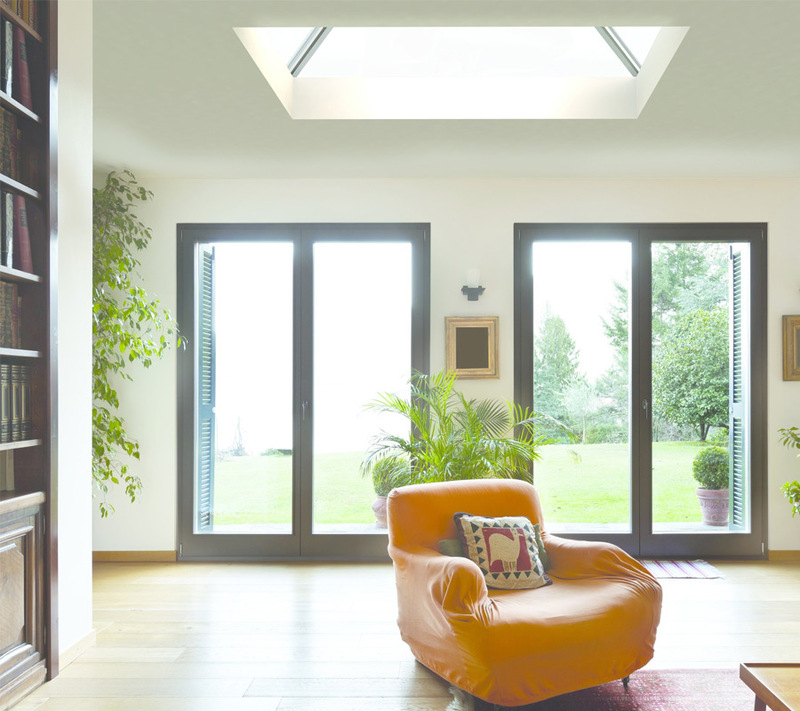 While although cheaper than aluminium-frames, these uPVC skylights are still built to the high standards you would expect from a manufacturer such as UltraFrame and boast the stylish sleek design and reliable performance of all our products. If you are looking for a modern design roof lantern then the UltraSky lantern we offer will be the perfect fit for your new or existing extension. 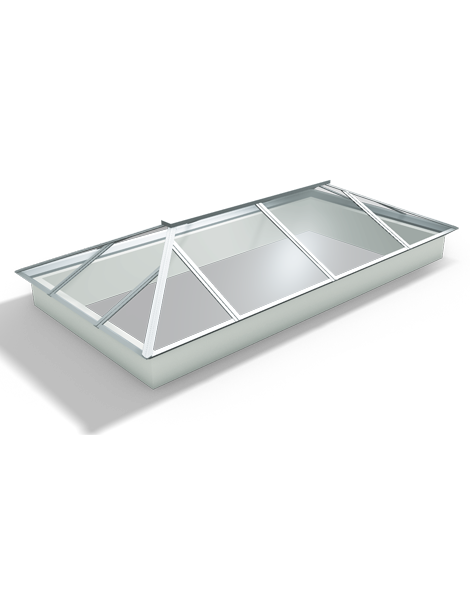 Featuring less glazing bars than a typical roof lantern, the UltraSky instead allows more glass than any other sky light on the market. Allowing your room to benefit from increased natural sunlight and a more contemporary look for your home.